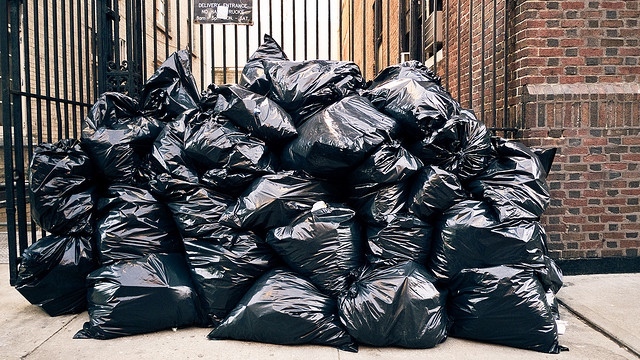 New York City’s commercial waste-management system is more broken than anyone realized, according to a report released by Transform Don’t Trash NYC. The coalition found that New York City businesses produce 5.5 million tons of waste per year—two million more tons than the most recent official estimate. Of those 5.5 million tons, 4 million are “disposed”, sent to the landfill or incinerated, rather than recycled. And while Bloomberg’s 2011 PLaNYC report set the city’s recycling rate by offices, restaurants, stores, hotels, and hospitals at a less-than-great 40%, TDTNYC estimates that the actual percentage is closer to 24%. If not worse, annual reports foiled with the state’s Department of Environmental Conservation show that last year, two of the biggest private waste haulers in the city recycled just 9% and 13% of their waste, respectively. TDTNYC obtained these troubling new statistics from a study of commercial waste management in New York City, conducted back in 2012 by Halcrow Engineers, and commissioned by the DSNY. Setting the 2012 study aside, TDTNYC supplemented these findings with a 2014 survey of 580 businesses across the five boroughs. Their survey revealed individual blocks in several neighborhoods where collection trucks from 8-10 different hauling companies serviced businesses, and one multi-block commercial strip serviced by 22 different hauling companies. The constant struggle to gain and retain customers leads haulers to operate inefficient routes. For example, a typical team of two workers operating a truck might collect waste from 70 different restaurants in one night. While a dense customer base would allow these workers to fill their trucks from restaurants in a single neighborhood, in NYC’s open system these workers are likely to drive across multiple neighborhoods and even boroughs to collect the same amount of waste from the same number of restaurants. “When you’re out there at night, you can be on any particular street and see ten different companies at the same time picking up for different customers. You have haulers coming up all the way from Brooklyn or Queens to the Bronx or Manhattan to collect, and then going all the way back to drop garbage. If you have companies in the Bronx, why does someone from Staten Island have to come to the Bronx to pick up trash,” commented Plinion Cruz, Sanitation Truck Driver for Progressive Waste Solutions. A zoning system confining private waste management companies to geographic areas would at address the traffic issues and cut back on unnecessary gas guzzling but it still does not solve the problem. Businesses are creating too much waste and need the right tools to reduce the volume before finding a more efficient way of disposing of it. This entry was posted in Environmental Concerns and tagged BioHtech America, Eco-Safe Digester, NYC Waste Management, Recycling in NYC, Transform Don't Trash NYC on April 23, 2015 by Lisa Giovannielli. The Wall Street Journal posted a story yesterday about how the fall in oil prices has dragged down the price of virgin plastic erasing any advantage to the plastic recycler. In that same article, the writer suggested that oil prices are not only to blame for the collapse of plastic recycling but that government policy caused a mushroom effect in the US and Europe creating overcapacity. 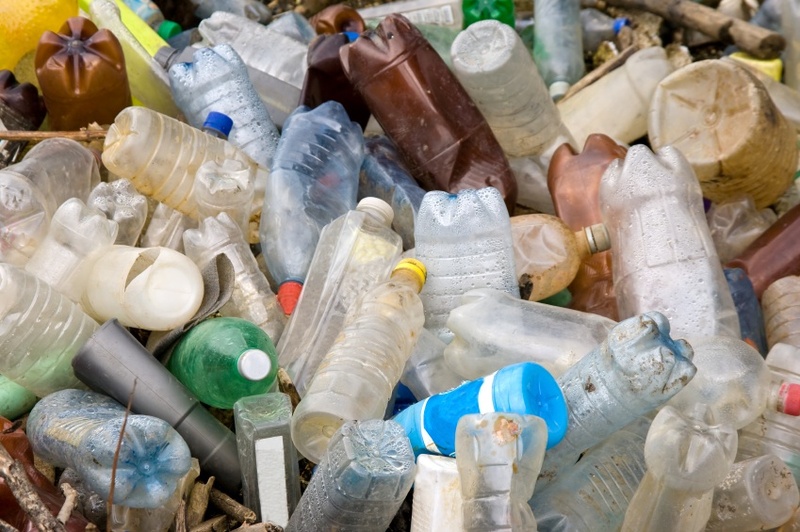 Depending on whom you blame, it seems the result is that the cost to recycle plastic is more expensive than creating virgin plastic and that because of that the demand for recycled plastics have shrunk, bankrupting many recycling plants and crushing the value of collecting the material for profit. Compared to lucrative recycling materials such as glass and metal, plastic has often been more challenging because of the complex sorting and processing, unfavorable economics and consumer confusion about which plastics can actually be recycled. Waste Management and municipalities typically earn cash for selling recyclable materials creating a need for program that generates a profit. But no one wants to pay a premium for the recycled plastic even though it’s better for the environment. If dumping plastics in landfills is ultimately a cheaper method of disposal some municipalities may decide to forgo the recycling of plastics altogether because it will end up costing their residents money to continue to recycle the material. The concept of uncoupling from plastic recycling programs is really a huge step backwards for our landfills and our environment. If there is no value in a plastics recycling program the plastics will be either tossed back in with our waste stream where they will take centuries to decompose in our landfills or worse, contribute to an even larger problem in our oceans where it will never degrade. The current problems occurring at landfills all over the US however continues with our without the addition of the plastics back to our landfills. Now with the fate of our plastics final resting spot up for discussion there is certainly a potential for stronger odors and increased toxic runoff at these landfills which might make the current situation around the US even worse. So, the battles will continue like they do in Tullytown, Pennsylvania and not because of the extra plastic. For years the residential neighborhoods of Florence, New Jersey have alleged noxious odors have emanated form the Tullytown landfill. In October 2014, the Pennsylvania DEP issued a notice of violation, citing Waste Management for nuisance odors emanating from the landfill. In response, Waste Management made a number of improvements that have reportedly cost them millions of dollars. What is worrisome is that if the likes of Waste Management stand to lose money on the crash of the plastic commodity will they be able to afford the clean up process at their landfills to keep the residents happy? This entry was posted in Environmental Concerns and tagged BioHitech America, Oil Prices Drop, Plastic Recycling, Tullytown Landfill on April 8, 2015 by Lisa Giovannielli.